Interview: Annie Thorisdottir 2012 CrossFit Games Winner! Like everything in life, CrossFit can also have a less glamorous side to it. 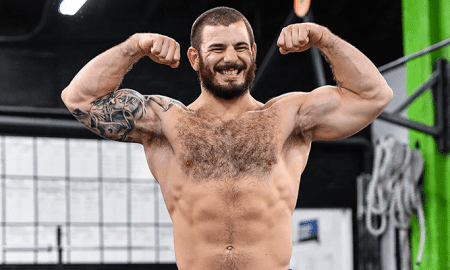 Last Thursday, a few days before the fittest man and female were crowned at the 2012 CrossFit Games in Carson, LA Weekly posted a story about a well respected CrossFit affiliate doing something most of those in the sport would frown on. 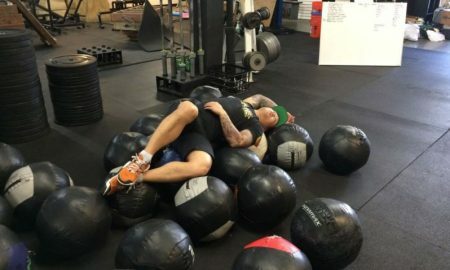 Members of CrossFit Mean Streets, a gym located on the edge of Skid Row at 265 S. Main St, recently posted a number of photos on their Facebook page, posing with a passed out homeless man. Gym owner Ronnie Teasdale along with Wayne Willette, owner of CrossFit CrownTown in Corona, and several other CrossFitters smiled for the camera as they posed over the slumped out man in front of Teasdale’s truck. 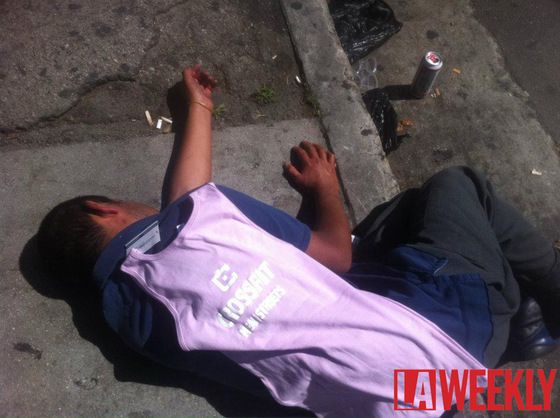 Aris Gregorian, a coach at CrossFit Crown City in Pasadena, was also involved, holding a CrossFit shirt above the homeless man. The image was one of many pics posted on their Facebook page. 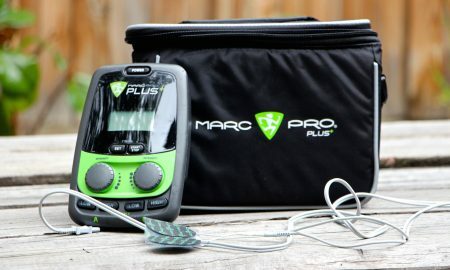 Others included the homeless man passed out with a CrossFit shirt laid out on his back with the caption “Free Gift”. 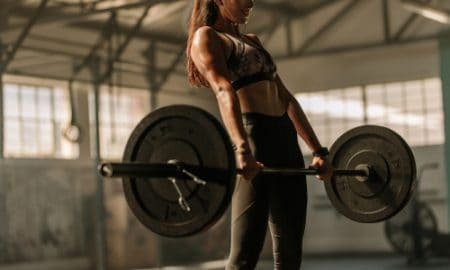 When CrossFit HQ got wind of the story they were quick to act, with spokesperson Lisbeth Darsh referring the matter to police. 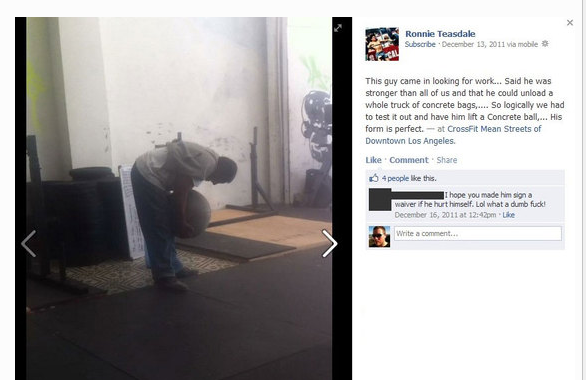 “You framed this as if CrossFit is somehow responsible for what Ronnie Teasdale or anyone in those pictures is alleged to have done. If a United Airlines pilot goes off and does something wrong, it’s on him, not all of United Airlines … unless what he did is the direct result of a UA policy or procedure. Teasedale himself was quick to apologize for the incident. 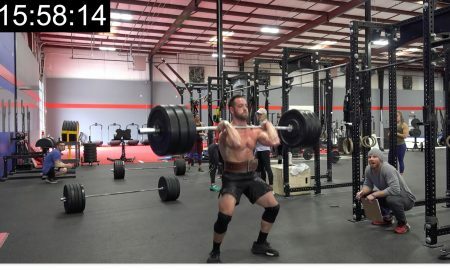 “I would like to be the first to say that those posts were inappropriate and did not highlight the best aspects of our gym or the CrossFit community,” he said. It’s unclear how many other notable CrossFit athletes were involved with taking the photos. 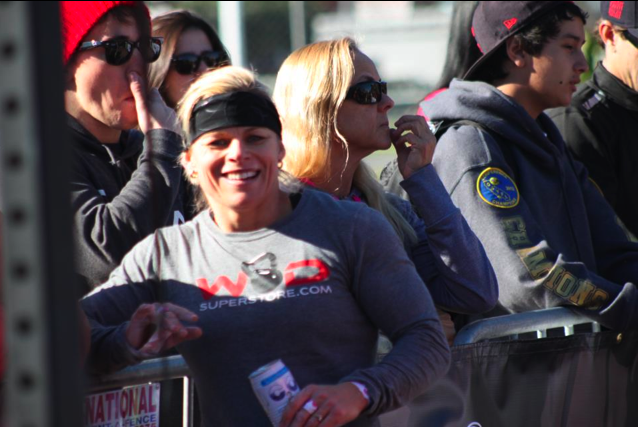 Andrea Ager, who finished 5th at the SoCal Regionals this year is one of many to train out of the gym. 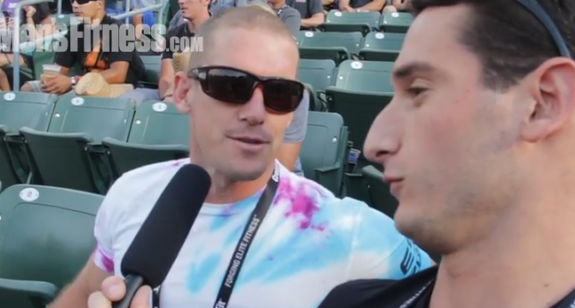 It’s also unclear if HQ will punish CrossFit Mean Streets’ over the incident.